This breathtaking diamond ring would be the ideal choice for anyone who loves classic jewellery with an abundance of luxury. Taking centre stage is a round cut, GIA-certified solitaire. 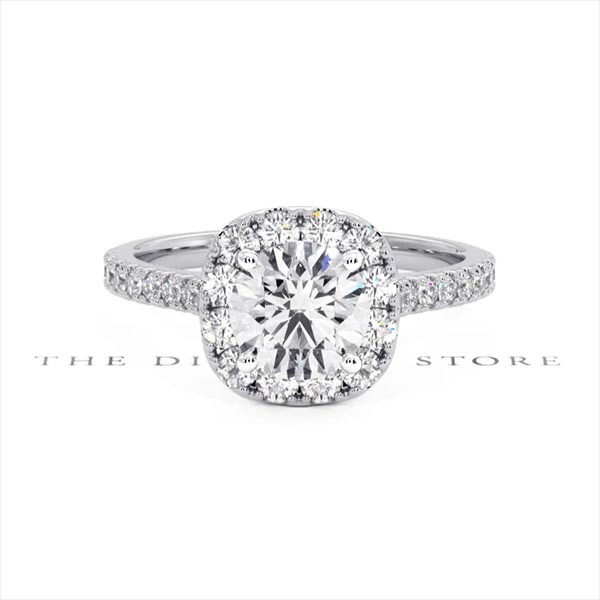 Smaller accent diamonds sparkle all over, forming a cushion-shaped halo around the main stone, as well as providing extra glamour on the beautiful platinum band.